For many nannies, working with high-profile and celebrity clients sounds like the ideal job. But there’s one major complication that nannies in these roles must constantly contend with: paparazzi. The media has a particular interest in high-profile families and in trying to catch rare glimpses of celebrity children. For this reason, nannies who are working with these kinds of clients must be on guard at all times and take steps to ensure their employer’s privacy. Here’s how to be on your A-game when you’re working with a family who is in the public eye. Avoid taking the children to restaurants, shopping locations, or other local destinations where paparazzi is likely to be posted regularly and prowling for photos. The paparazzi are definitely familiar with all of the so-called celebrity hot spots in the Los Angeles area, as well as the best neighborhoods and locations for celebrity sightings. If you do need to visit a place where you’re likely to encounter paparazzi, make a plan with the family and their team beforehand to ensure the children’s privacy is protected. Don’t share anything that has a location stamp. Typically, nannies are not allowed to post about high-profile clients on social media or share any details about them. But say you’re on a trip with them and update your Instagram with a photo of yourself during your off hours. A location stamps can still give away vital information about the family’s whereabouts that they may not necessarily want shared. Check-ins, photos of recognizable landmarks, and any other posts that could alert others to the location of the family at any given time are definitely a no-no. Unless you have a full-time driver, there may be situations in which you need to make a quick getaway from paparazzi or lose someone who is tailing you. It’s common for high-profile families to have their nannies trained in defensive driving and self-defense, and it’s worth seeking that education out on your own or seeing if your employer will cover it. Confidentiality agreements are common for nannies, but it’s a good idea to stay tight-lipped even about things that aren’t included in your confidentiality agreement. For example, don’t gossip with other staff about information they may not be privy to. Don’t share details about past employers. Don’t discuss sensitive details of your job with anyone, even close friends or significant others. Don’t discuss your current employer with other celebrity nannies, either. If your client is a target for the media, that makes everyone around them and around you a target, too. You have to be extremely careful. 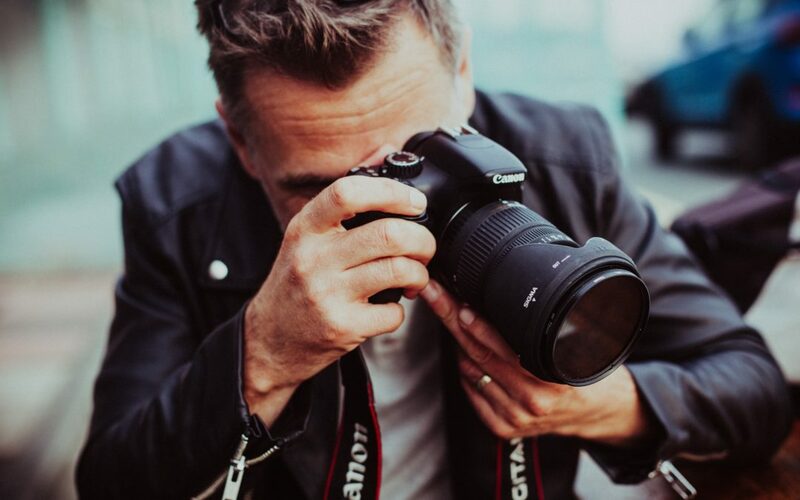 Modern paparazzi rely on everything from ultra-sensitive long-range lenses to drones to get the information and photographs they want, so it’s important to always be aware of your surroundings, even at your client’s home. Any suspicious activity should be immediately reported to the client and/or their security detail, if applicable. When possible, try to anticipate the times and places you’re most likely to have a run-in with paparazzi and take the necessary steps to mitigate the risks. That might mean changing plans, getting extra help from security, hiring drivers, or even using decoys (hey, it happens!). More than likely, celebrities and high-profile parents have entire teams dedicated to security and scheduling, but as the nanny, you represent the children in that regard, and it’s your job to coordinate with the parents and the rest of the team as needed. If you are in a situation where paparazzi is present, remember that your main job is to protect the children. Don’t engage with photographers, and certainly don’t make a scene, as your behavior reflects on your client and can also be fodder for gossip magazines. How you handle these situations will ultimately affect your reputation as a nanny, so it’s important to always maintain your composure and stay focused on your role. Ounce I went with a former boss to a celebrity party and she suggested that we arrived separately (me with the baby) so no one except their closest friend new that was their baby I was holding. They also told me that If anyone asked I should just tell them that the child was my baby and that I was invited by the family hosting the party. It worked well. When the paparazzi cannot be avoided I tell my charges “Stay close and move fast” when I say this they know what it means.